The flames threatened some 1,200 homes for much of the day, but firefighters kept the blaze at bay. A brush fire prompted hours-long evacuations of homes and a school in Glendale on Thursday, but firefighters were able to keep the fire from causing any serious property damage. The evacuation order was lifted about 9 p.m. after firefighters got the blaze under control, Glendale police Sgt. Tom Lorenz said. 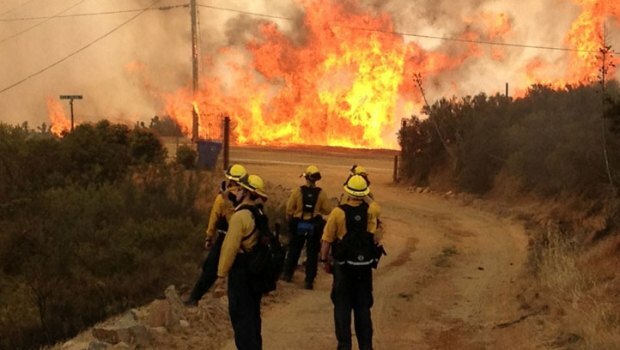 The blaze was one of several that have broken out across Southern California this week. The fire, dubbed the Canyons Fire, broke out about 2:30 p.m. in steep, rugged terrain northeast of the Glendale and Ventura freeways (map). 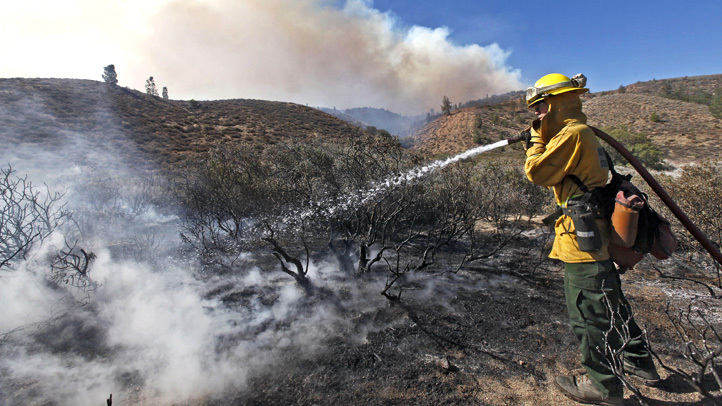 The fire consumed 75 acres by 4 p.m. Two firefighters suffered from heat exhaustion. A fire broke out near the 2 and 134 Freeways Friday. The Southbound side of the 2 Freeway was shut down while crews tried to extinguish the fire. 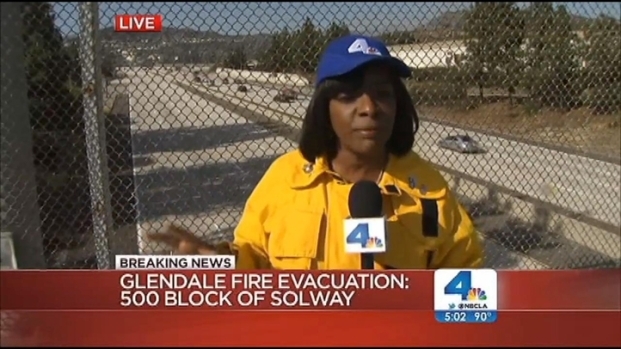 Beverly White reports from Glendale for the NBC4 News at 5 p.m. on May 3, 2013. 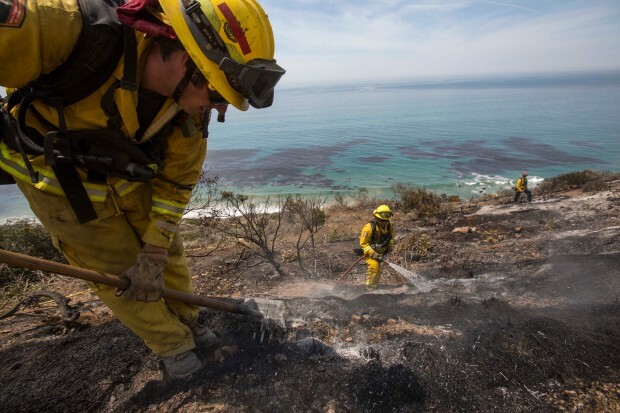 Some 200 firefighters from several fire agencies, already taxed from battling fires elsewhere in the region, joined in a "mutual aid" operation to battle the blaze in dry conditions and near triple-digit heat. "It's not a matter of being stretched thin," said Capt. Jaime Moore, of the Los Angeles Fire Department, one of the agencies helping Glendale. "We're just extremely busy." 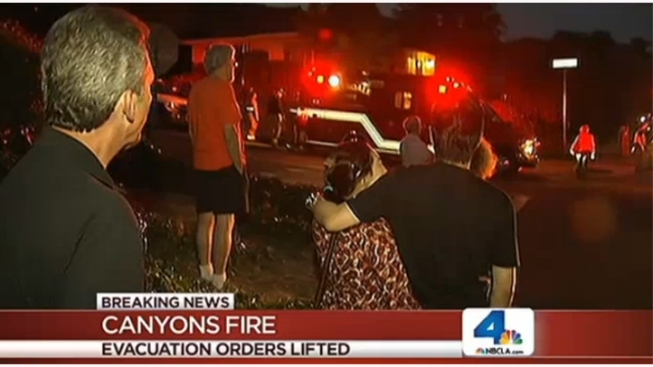 Evacuation orders were in effect through at least 9 p.m. for the Glenoaks and Chevy Chase canyon neighborhoods and Glenoaks Elementary School, officials said. Officials set up a shelter with food, water and cots at the Adult Recreation Center, 201 W. Colorado St. (map). Homeowner Michel Kassett was right in the middle of the flames. "The whole mountain seemed to be burning up," he said. "Now, it's just mostly smoke and the wind is blowing it away. "I will leave at the very last minute." Officials at Glendale Adventist Medical Center recommended that employees in the administrative home health building leave the building. No patients were affected. Night classes at Glendale College's main campus were canceled. Lanes of the 2 and 134 freeways and Harvey Road in Eagle Rock were temporarily shut down. Firefighters were already gearing up for the potential for brush fires. The Los Angeles basin has only seen 5 inches of rain so far this season, which runs from July 1 to June 30, less than half of the 14 inches of rain the area normally sees, said Glendale Fire Chief Harold Scoggins. "Conditions are ripe," he said during a Friday afternoon press conference. Rosa Ordaz contributed to this report.